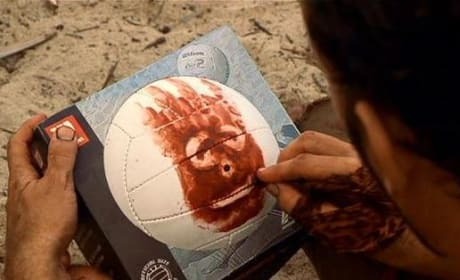 A picture from Cast Away. 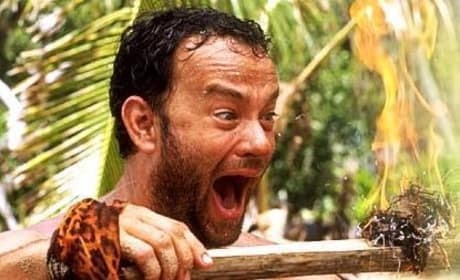 Chuck Noland (Tom Hanks) used to live his life by time as a Federal Express executive. 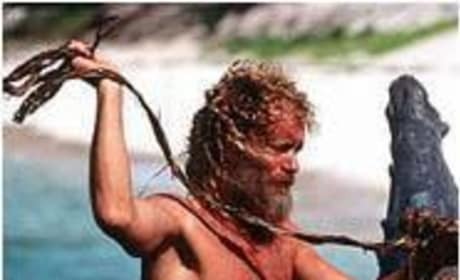 Now he's got all the time in the world as he's stranded on an island alone in "Cast Away." 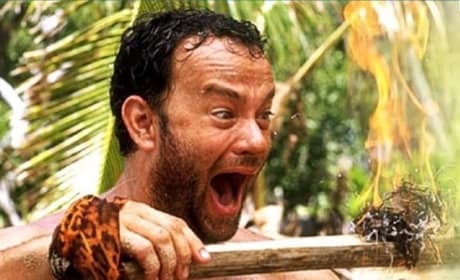 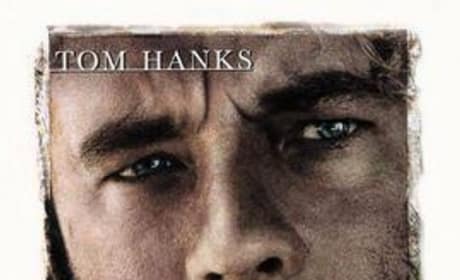 Cast Away (2000), a Robert Zemeckis film starring Tom Hanks, is the story of a FedEx executive must transform himself, physically and emotionally, to survive after a plane bound for Asia crashes and leaves him stranded alone on a deserted island in the Pacific.